I paid $7.49 for this record. Old people: remember sitting in front of your stereo with your finger on the "record" button waiting to dub your favorite song from the crappy quality FM signal onto a crappy quality cassette you probably bought at Fred Meyer (or whatever cheap big box store you had locally)? Well, the producers of this fine slice of vinyl used the same technique to get their recordings! Then, they pressed it to vinyl for some reason. The drums sound terrible, everything is too slow and for some reason, the B side songs are a completely different volume. It misses the intro of "2000 Light Years Away" and there's a little blip of radio announcer after "Basket Case." These are some of my favorites from mid-90's Green Day, but they sound tired and slow and terrible. I've seen Green Day a number of times before and after the release of this record and I know they are capable of high-energy live shows, but this record makes me doubt my nostalgia-leaning memory. 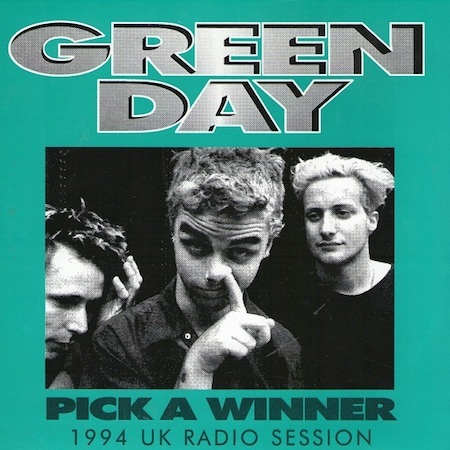 Maybe Green Day sucked even back in '94? Oh no, I might have lived a lie for 20 years!